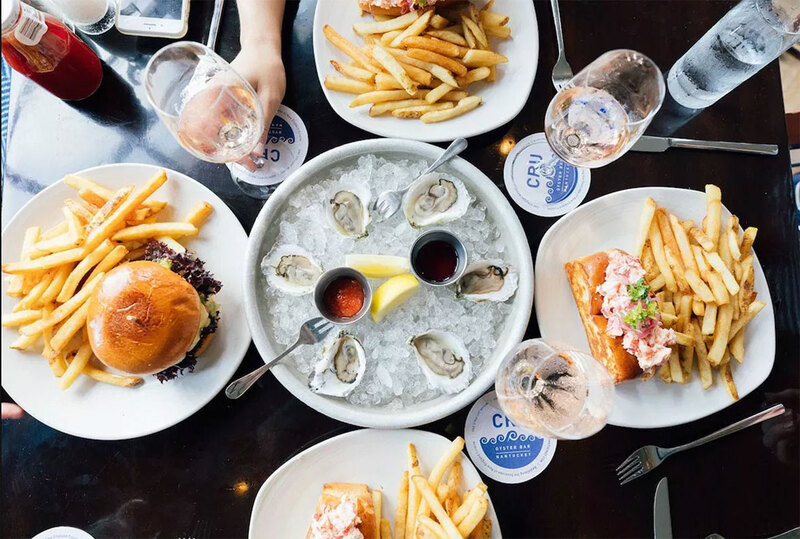 When in town, be sure to grab food and drinks at local favorite CRU Restaurant. Later, if you’re feeling even more adventurous, try your hand at creating our specialty cocktail “Shucks Well With Others,” named after our signature summer tees. 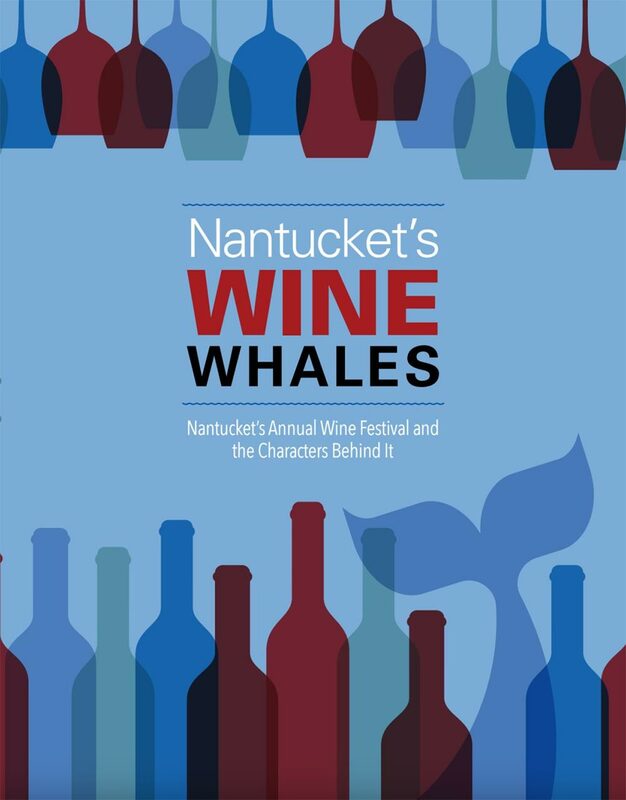 This light, refreshing beverage goes well with Nantucket oysters and warm-buttered lobster rolls- the ultimate pairing! CRU has been selected by OpenTable diners as one of the best. 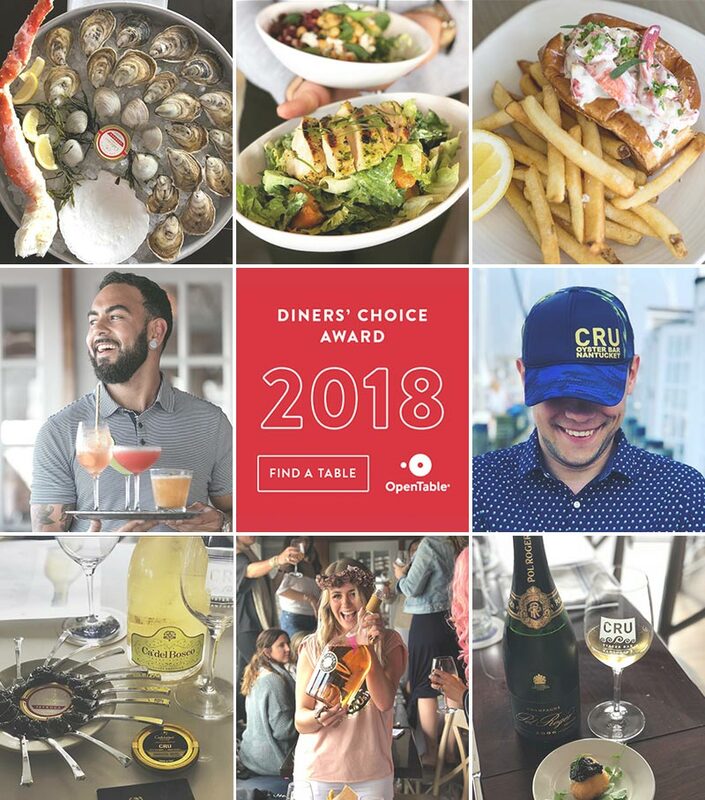 OpenTable Diners’ Choice Award lists are designed to celebrate top-rated restaurants, giving them greater visibility on OpenTable.com. OpenTable Diners’ Choice winners are selected according to real feedback from diners who booked through OpenTable and dined with us. After their meal, they are asked to take a moment and review our restaurant. We are happy to report that we have been selected 2018 OpenTable Diners' Choice! 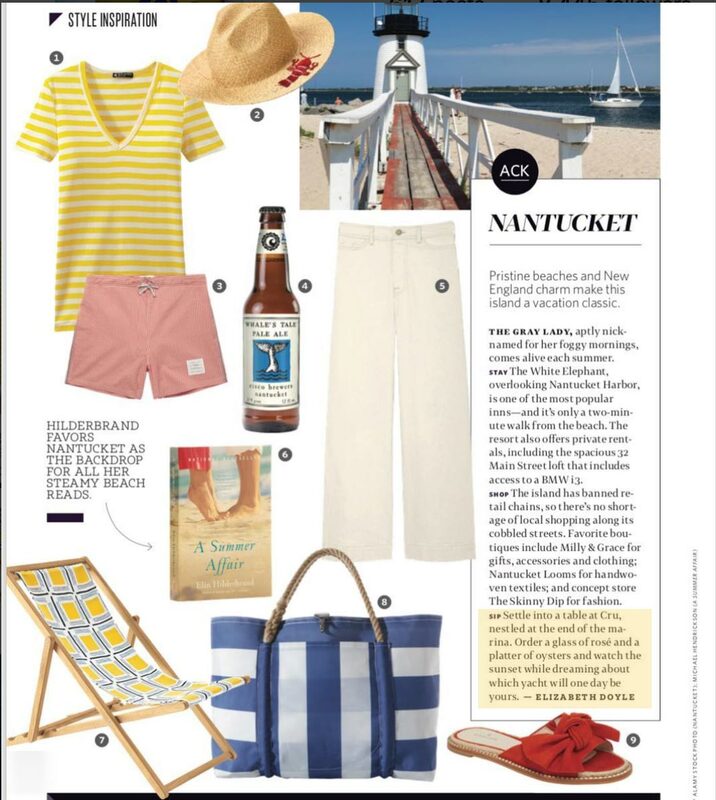 Thanks Delta Air Lines for including us as their Nantucket featured SIP in the Nantucket Style Inspiration article. 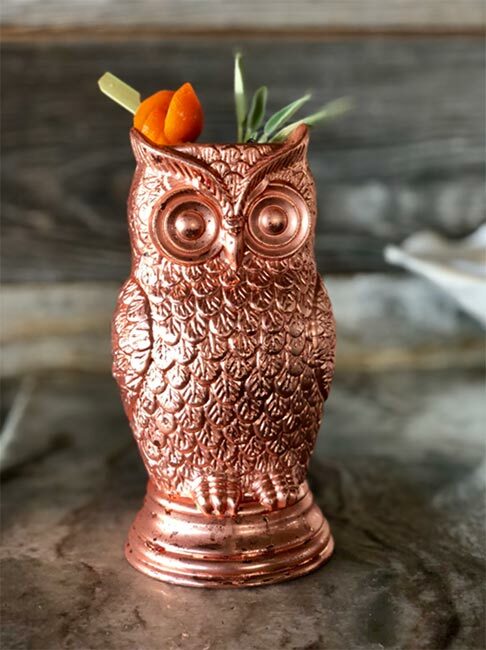 T&C's carefully curated guide to the most creative and refreshing summer cocktails from some of our favorite bars in America. *Sesame simple syrup is made by toasting sesame seeds until golden brown then added to equal parts sugar and hot water. Strain to remove all seeds before serving. Slap lemon balm to release essence. Add cucumber puree, lemon and sesame syrup to cocktail shaker. Add vodka and shake vigorously. Strain into a coupe glass and garnish with fresh cucumber. 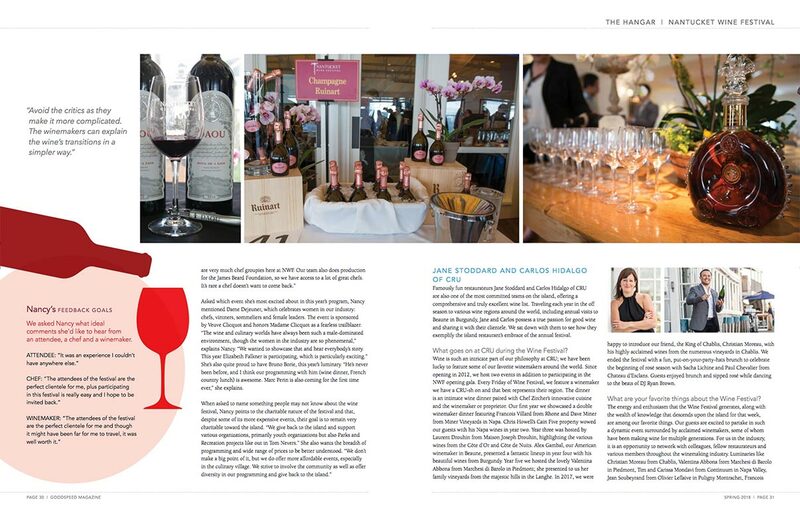 Toasting another SHUCKING AMAZING Nantucket Wine Festival weekend in true CRU style. 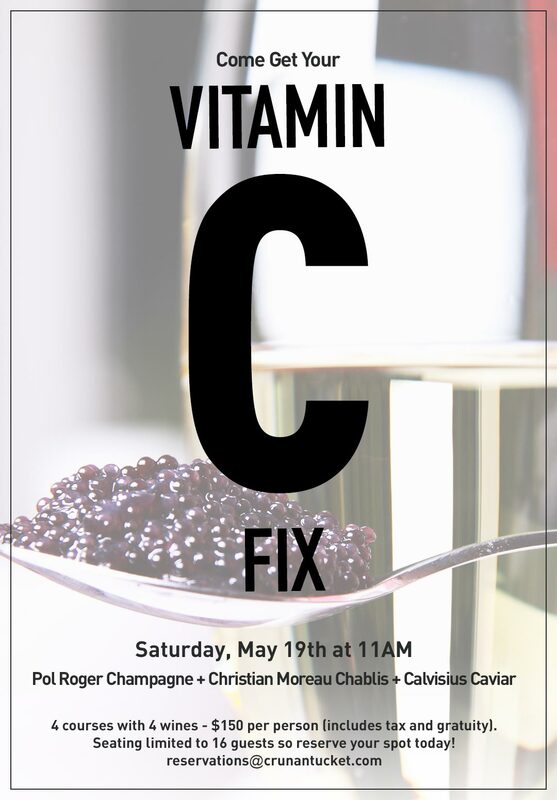 Champagne, Chablis, Caviar, and of course, OYSTERS! Seating limited to 16 guests so reserve your spot today! 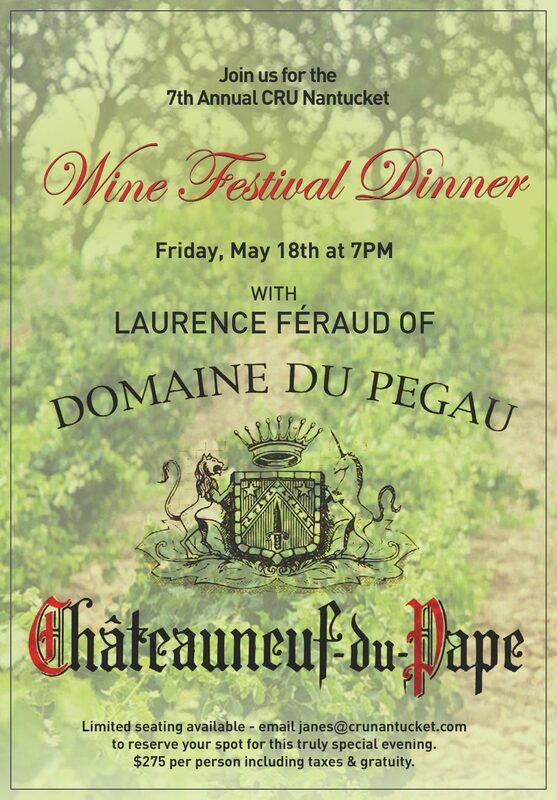 Owned by father and daughter team Paul and Laurence Féraud, Domaine du Pegau is one of the great estates in Châteauneuf-du-Pape.The benchmark producer of traditionally-styled Châteauneuf, Pegau is justifiably ranked among the greatest wines in the world. Indulge in this year's intimate dinner as we welcome one of the Rhone Valley's most prized winemakers, Laurence Féraud, for a unique night of highly sought after wines and gorgeous cuisine. Menu to include five wines and four expertly paired courses for $275 (inclusive of tax and gratuity). 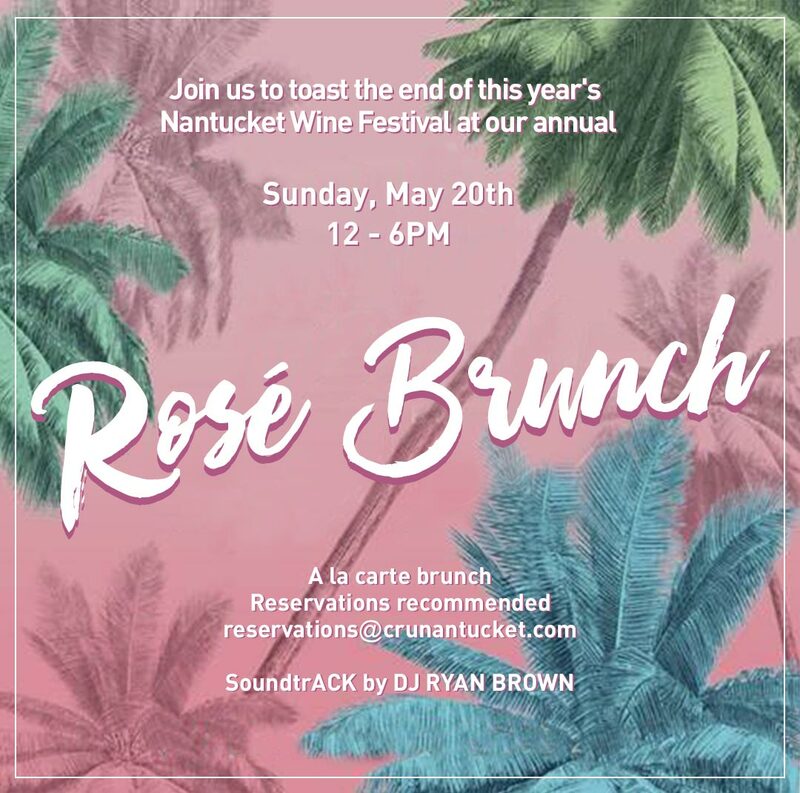 Limited seating available - Email janes@crunantucket.com to reserve your spot for this truly special evening. To learn more about the winery, please visit their website. Carlos Hidalgo and Dan Sandberg stopped by RPG Living and discussed a famous "Kentucky Monk" with Francesca Mills Purcell and Jeanne Racioppi!